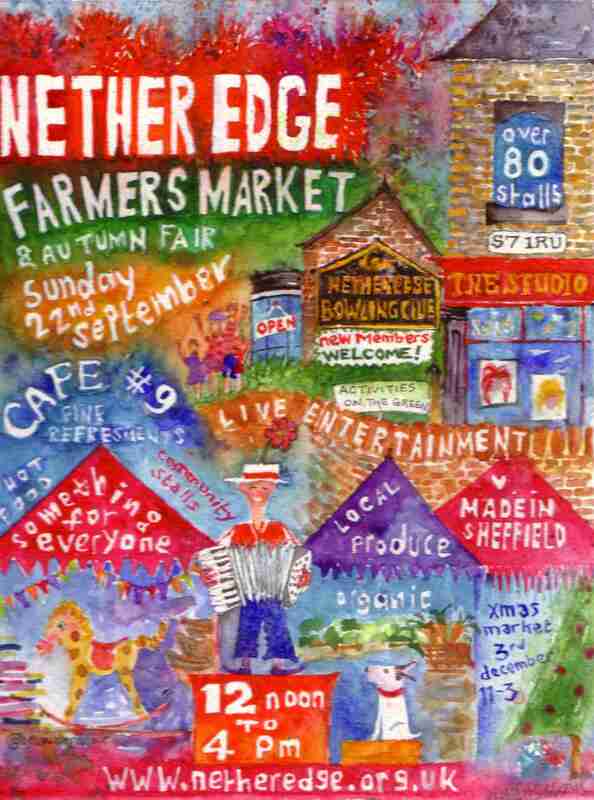 ← ….. At the Deli …..
….. an Accordian Player …..
….. announces the Farmers Market this sunday ….. This entry was posted in Art, Cafe, Dogs, Nether Edge, Sheffield, Uncategorized and tagged Bowling Green, Crafts, Farmers Market, Nether Edge, S7, Sheffield, Sunday. Bookmark the permalink. 11 Responses to ….. an Accordian Player …..
Surreal it is! A very colourful moment and SO lovely, thank you. Sheffield post approaching, including a pic from Postcard Cafe. Hope you will like. coming up – deserves a post of its own I think!